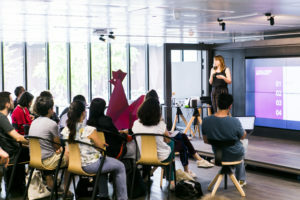 A special interface space between startups and public services, right in the heart of Station F.
55, boulevard Vincent Auriol, Paris 75013 (Closest subway stops are Chevaleret or Bibliothèque François Mitterrand): you are in front of the SHARE zone entrance of Station F, the world’s biggest startup campus. Come in, have a look at the Tech Shop, go beyond the Anticafé and go towards the coloured playdough. 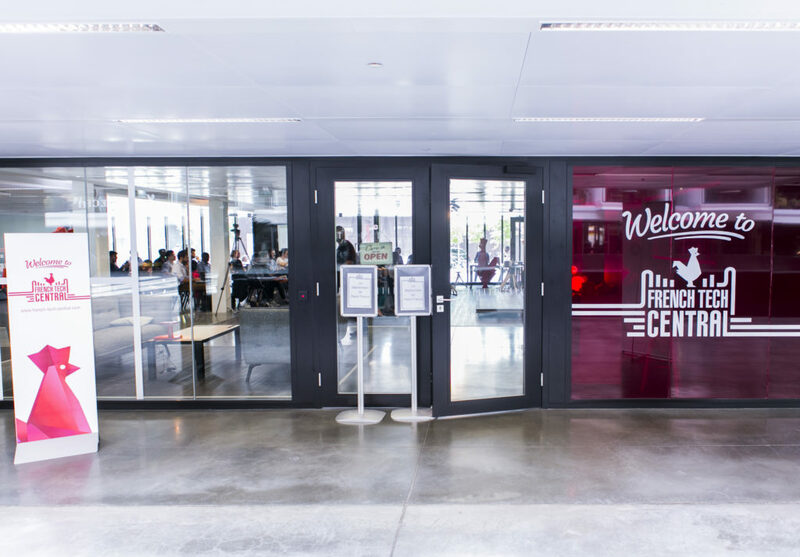 We are here, in the center of the big nave, on your right: French Tech Central! 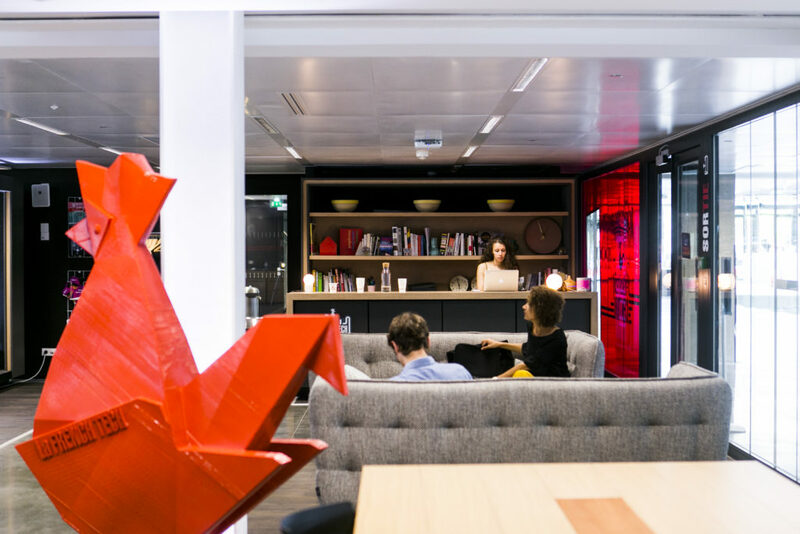 Our cosy space of 300 m2 is completely flexible. It is glazed and faces the street on one side and the nave on the other one. It has a capacity of 100 people. There is also 12 seats in our boardroom. 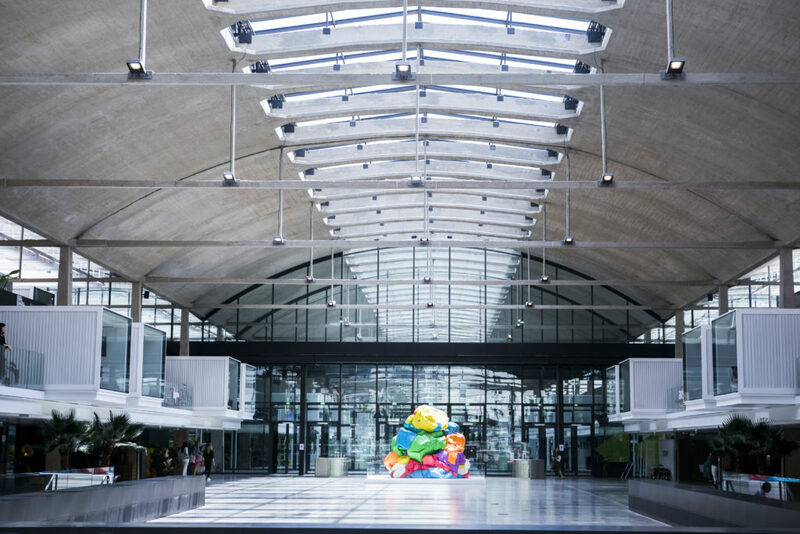 The two spaces are situated right in the heart of Station F.
On the 2nd floor of the SHARE zone are situated the offices of the French TechMission, French Tech Central, and also public services work teams. Public services receive entrepreneurs in closed boxes to guarantee the confidentiality of their exchanges. 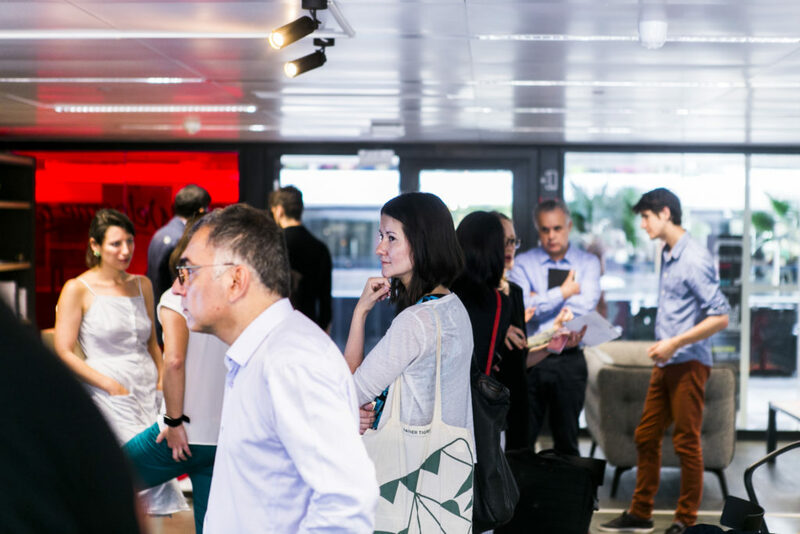 French Tech Central welcomes your events in connection with innovation and the startups ecosystem, right in the heart of Station F.
An event room of 300 m2 and a boardroom for 12 people facing the big nave and a coworking space of 700 m2 on the 2nd floor. 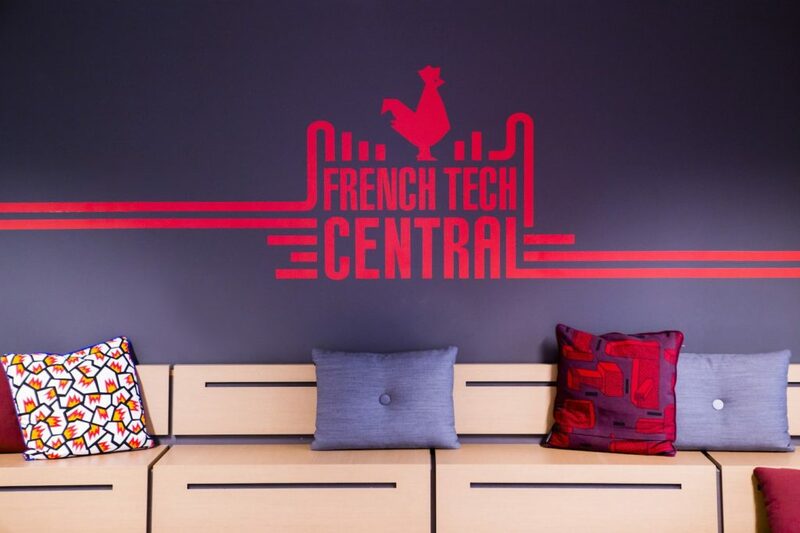 Visit French Tech Central in 3D ! 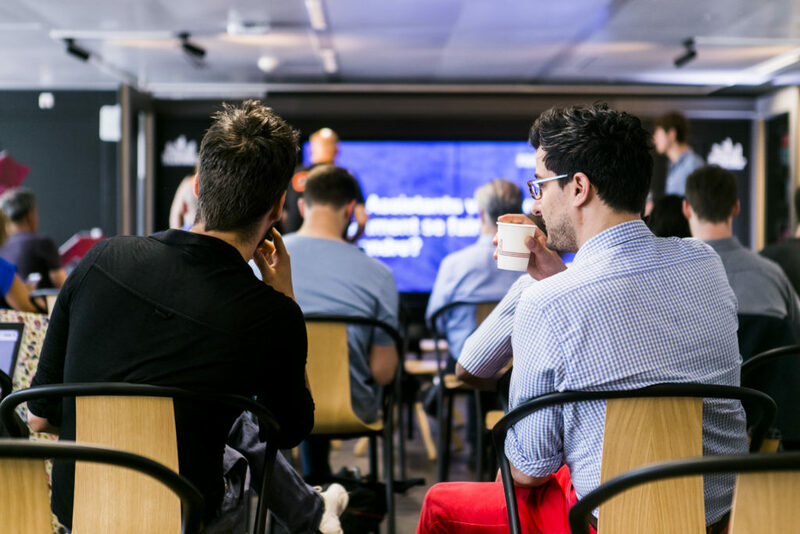 French Tech Central also represents the opportunity to discover the best of French Tech : for your event, we suggest you to work with FoodTech startups and to test innovative animations (entertainment, music, photo, video…). 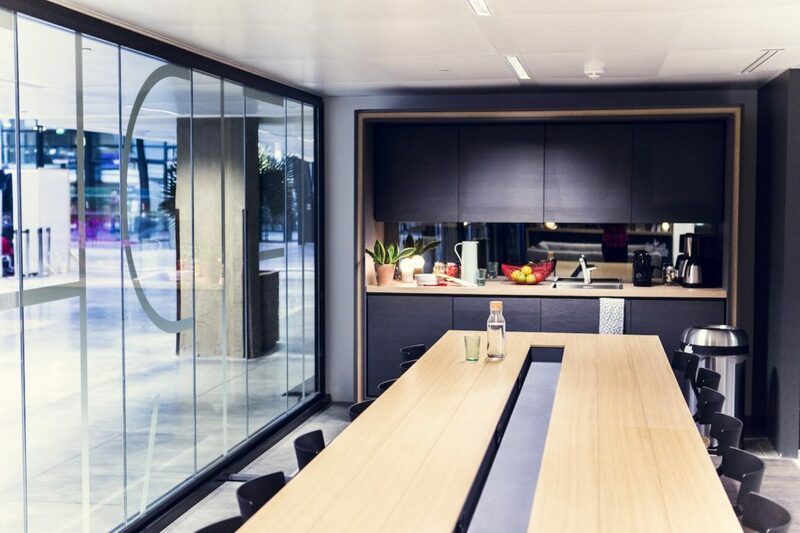 The boardroom is a premium meeting room that can receive a dozen people. Completely confidential, it is composed of a 85″ HD screen for your presentations and a teleconference octopus. We are at your disposal to organize perfect events, with a choice of providers tailored to your specific needs. In a plenary format, the speakers take the floor from the stage. 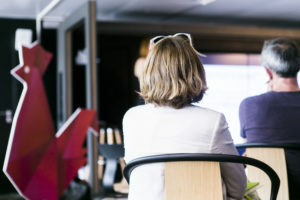 A second screen allows people seated at the back of the room, on terraces, to follow the displayed contents. 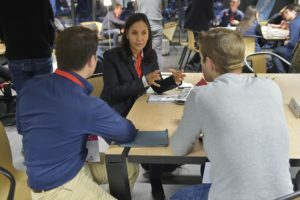 During workshops, people are divided in several groups around wide square tables of 8 seats and a table d’hôte of 18 seats. Terraces can also be prepared to form small talking circles. 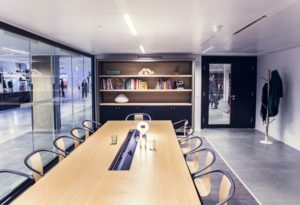 In the evening, the furniture can be removed to provide room for a big space of standing networking.